t is 2018, and we live in a time of nonphysical ways of transporting musical content. The basic channel of sales, presentation and promotion of music is currently the Internet and streaming services, with a small addition of stores selling music files. And these are a fulfillment of the most secret dreams of engineers who always wanted to encode as much information as possible. It became possible thanks to hi-res files, or PCM files from 24/88.2 up, as well as DSD files. Why, then, does the part of the audio world that interests us, i.e. those striving for the best sound, stick to the obsolete, physical format of the Compact Disc? Why do I think that it is still one of the best ways to present music? 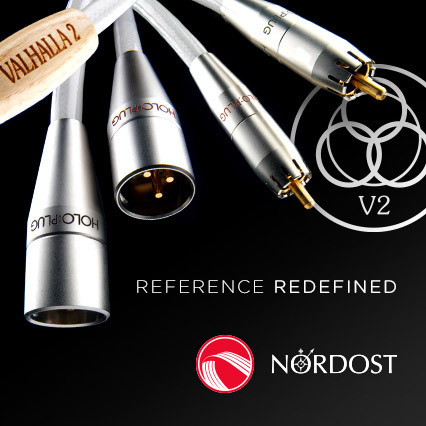 The answer is simple and unambiguous: because it's a long-proven format that was improved numerous times, which guarantees high-class sound, and in special cases – even breathtaking one. The breaking point in its development was 1995 (according to other sources in 1996). Two parallel methods were presented for the use of this carrier so that it could become something more than it was before. In USA, the HDCDs were presented, and in Japan the XRCDs. 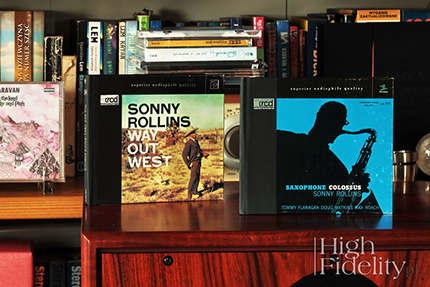 In the USA, Keith O. Johnson and Pflash Pflaumer proposed a modification called HDCD - High Definition Compatible Disc, which was a new format, encoding 20-bit words on a classic CD using the clever use of the least-significant bit (LSB). Such a CD was "seen" like a regular 16/44,1 Compact Disc by any CD player, but a player with a HDCD decoder allowed to decode a signal with a resolution close to 20-bits. The solution from Japan, which is not a format, but only a modification of the Compact Disc in accordance with the assumptions described in the so-called Red Book. The Victor Company of Japan, Ltd. (JVC) has proposed discs prepared using techniques known under the comon name XRCD - eXtended Resolution Compact Disc. Also in this case it was about improving the sound resolution available from a CD. 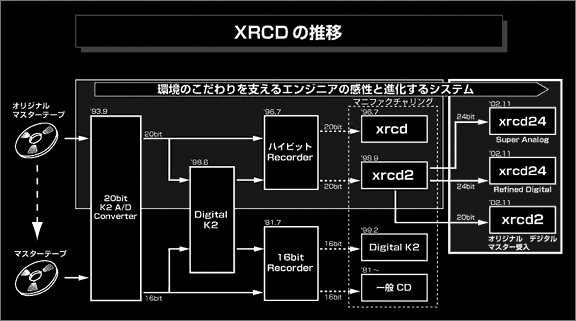 We wrote about XRCD many times, also in a context of K2 HD recordings (more HERE and HERE). This was, however, a selective research, touching only selected details of this fascinating technique. For a long time, I have felt the need to prepare its synthetic, monographic study. The more I searched for sources, the more I knew about this technique, the more white spots appeared, which without direct conversations with people associated with the creation and development of XRCD could not be fulfilled. And this is almost impossible. There are few written materials on the subject. These are almost exclusively minor notes in the press, promotional texts of the record label and information provided in the booklets attached to discs. Most details can be found in the First Impression Music releases - its owner, late Winston Ma, placed short essays in them. I have not found any continuous publications - neither in English nor Japanese. Which is surprising, because it is one of the deeply Japanese techniques that are characterized by a combination of high technical culture of this country and amazing sensitivity to sound quality. The frustration is deepened by the fact that many details are unclear, many are unknown. So I had a choice – I could either abandon this project and continue to explore its periphery, or with full awareness of the fragmentary nature of research results, try to prepare something like a "skeleton" on which later, when I get more information, I would be able to build a more complete knowledge. I chose the second one. However, this is not the end. To keep the article in check I had to give up many details. For example, I have omitted the development of a parallel thread, which is K2. Let's just say that it is something like a "truncated" XRCD. In its case, no A/D conversion is required in the K2 converter, the number of pressed CDs is not limited, or a master tape copy can be used. Interestingly, this technique is now more modern than the XRCD, because with the K2 HD plates another step forward was actually taken. The article has been divided into two main parts: "Technique" and "Listening" with a "starter" or an introduction to the subject regarding K2 (the technology, not discs). The technical part is divided into three parts: XRCD, XRCD2 and XRCD24. The first one is the longest, because it describes the basic components of the system, which are only modified for the others. Let's get to it! 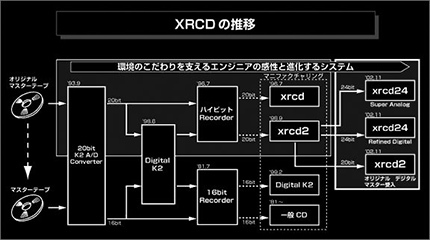 The foundation for the XRCD technology - let me repeat: this is not a 'format', and it was just a 'technology' – was laid in 1987, when two Japanese engineers, Mr Kuwaoka from Victor Company of Japan and Mr Kanai from Victor Studio, developed a digital interface eliminating jitter, thus improving the sound quality. It was called K2 because it was created by to Mr “Ks”. It was an innovative method, today thoroughly researched and described, but back then a true revelation. 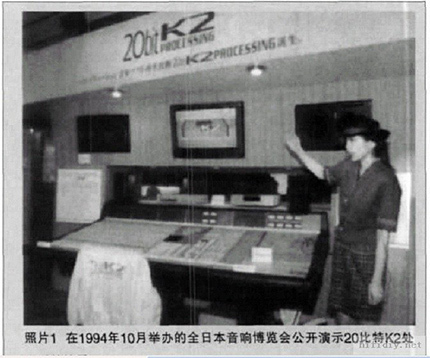 It took five years to develop a method of coding such an improved signal - in 1993, a 20-bit K2 A/D converter, model AD-0126, and K2 Super Coding were ready. In K2 Super Coding, 20-bit words were converted to 16-bit ones. Sophisticated dithering techniques were used to keep the high dynamics and resolution. Let's also say that Sony had its own system of this type, called Super Bit Mapping, which in turn used noise-shaping algorithms. In any case - they were the first elements of the chain, completed in subsequent years, which after completion of all the elements became the XRCD system. The next step was, revealed a year later, the K2 Laser Cutting system, which received its own logo, placed on K2 and XRCD releases. This is the second "end" of the whole chain - instead of the typical CD production system, a specially modified laser was used for cutting the glass matrix. It was clocked with an ultra-precise word clock and was powered by devices for regulating the supply voltage. What's more, it burned out longer and more precise pits and and lands - later Yamaha will return to this system in their CD-R recorders with the Audio Master system. Have you seen the Mobile Fidelity discs, eg Santana's Abraxas released in the Ultradisc One-Step technique? These are expensive boxes that include disks cutted with the omission of the father-mother pair. This technique allows making only a limited number of discs, but the sound quality is significantly improved. 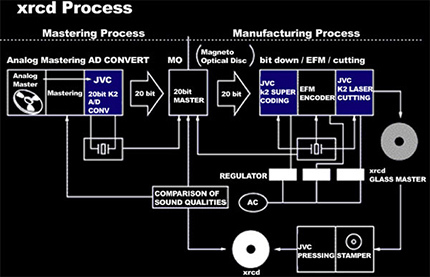 Together with the K2 Laser Cutting, this technique was introduced for the production of CDs, the making of which resembles in the general framework the process of vinyl pressing. Such CDs were created directly from a metal matrix, that was a copy of a glass matrix. It was possible to prepare 2,000 copies of the title in this way, which meant only mimited ditions could be prepared this way. JVC is faithful to this assumption until today - the titles (actually, we will come back to this again) are not re-issued. In 1995, the XRCD system was introduced (source materials point also to 1996, but Winston Ma in an essay titled A Giant Step Forward! claims it was 1995). 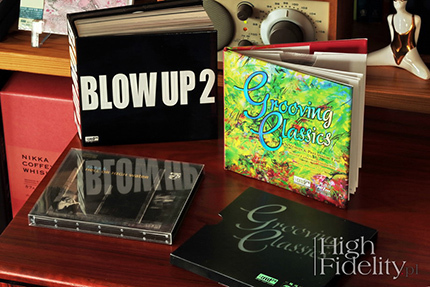 It is the only such a complete system associated with music releases. Although it has changed over time, the general rules have remained the same for more than twenty years. The ideological basis is extremely important for this series, and its description can be found in every XRCD disc. It all starts with an analog master tape played on a JVC modified reel-to-reel tape recorder. 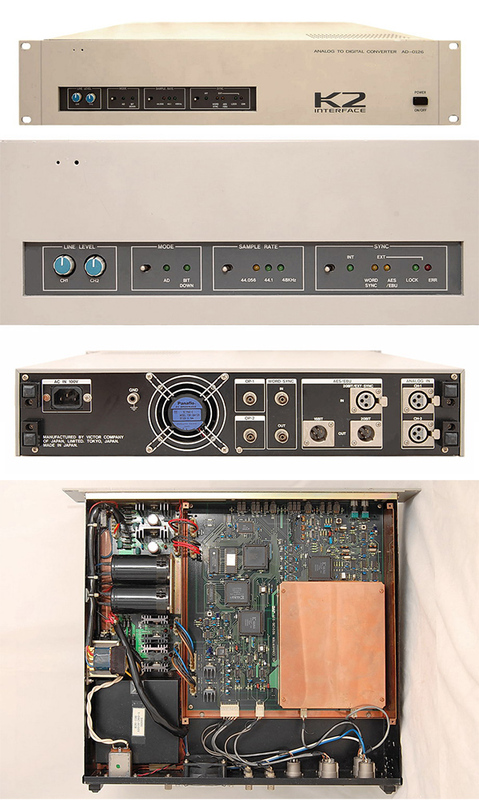 The signal is then sent to the analogue console designed by JVC, on which mastering is carried out (in the analog domain). After processing, it is converted into a 20-bit digital signal in the K2 A/D converter and recorded on a specially selected medium, which is then delivered to the Yokohama pressing plant. This is another significant change compared to the classical CD production method. The standard back then was the Sony U-Matic 1630 system with digital tape. Material encoded in the form of PMCD or DDP was sent to the pressing plant, where the glass matrix was prepared. The problem was that this chain was not standardized, everything was based on the assumption that the tape recorders on the mastering studio and pressing plant were the same. People from JVC decided to eliminate this link and as an intermediate carrier they chose a magneto-optical disc (MO), also from Sony. The XRCD discs from the Japanese format "branch". Please pay attention to the way it is made - it's a digipack type, with cardboard covers and a booklet, that reminds a smaller version of 78 rpm LP albums, in other words, the work of Alex Steinweiss from 1939. They are also slightly smaller than releases from the American "branch", as they measure 142 x 125 mm. There are versions with OBI and without it, there are also - even more limited - editions of the mini LP with gold OBI. The exception are titles issued by TBM, with a height of 134 mm. This is the ancestor of the Mini Disc - the disc was the same size as a CD and was locked in a cassette. To write some content, a high-power laser melted the surface, and the magnetic head recorded the signal in a deeper layer. This system was fantastic because it guaranteed an extraordinary recording durability, far exceeding the tape (and then also CD-R discs). What's more, it allowed to write a 20-bit signal (44.1 kHz). The device that was selected for this task was the Sony PCM-9000 recorder. The SDIF-2 interface was selected for digital signal transfer. 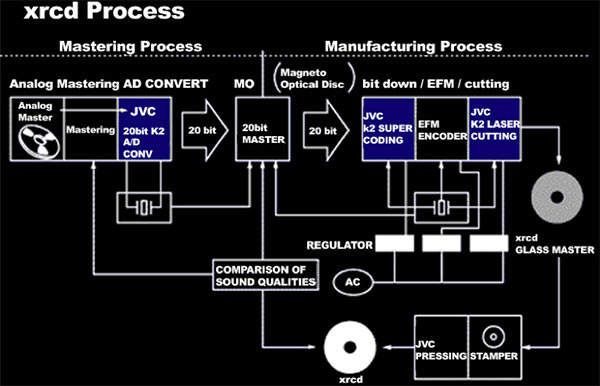 The value of this solution and its quality is evidenced by the fact that it was not until 2016 that JVC decided to use DVD-R and BD-R discs and still only for selected titles, even though the format itself has been "dead" for years and PCM-9000 has not been produced anymore. Not only the MO disk was sent to the JVC press, but - literally – also the recorder on which it was burned. There, in the K2 Super Coding converter, the 20-bit signal was converted to a 16-bit one, and then it was re-clocked with 128x oversampling, which gave dynamics of 108 dB and THD of -96 dB. The signal prepared in such a way was then coded in EMF (the format used in the pressing facility), and the laser with the K2 Laser Cutting system burned out the glass matrix. The system re-clocked the signal, eliminating the jitter residue. Each of these elements was controlled by an external, precise Pro Box 12 word clock and was powered by regulated voltage. A single glass "stamp" was prepared, from which then a single metal matrix was made, that allowed 2000 discs to be made of it. Although it is a digital record, a common consensus says that when the matrix wears off, the accuracy of the stamping deteriorates and, consequently, the sound deteriorates. This principle was also used by other record labels, such as First Impression Music, which offered two versions of UltraHD CD – a "regular" one and limited edition (first 2000 copies). After burning the test disc, it returned to the mastering studio, where it was compared to both the analog master and the 20-bit version on the MO disk. It was not until the material was approved that the pressing started. Each of these elements was selected after long listening sessions, not by accident. How much time, energy and money was involved in this project can be demonstrated by the following story. When the idea for XRCD arose, JVC's mastering engineer and producer, Akira Taguchi, went to his friend, who ran a record shop in Yokohama (JVC studios are also located in the same city). 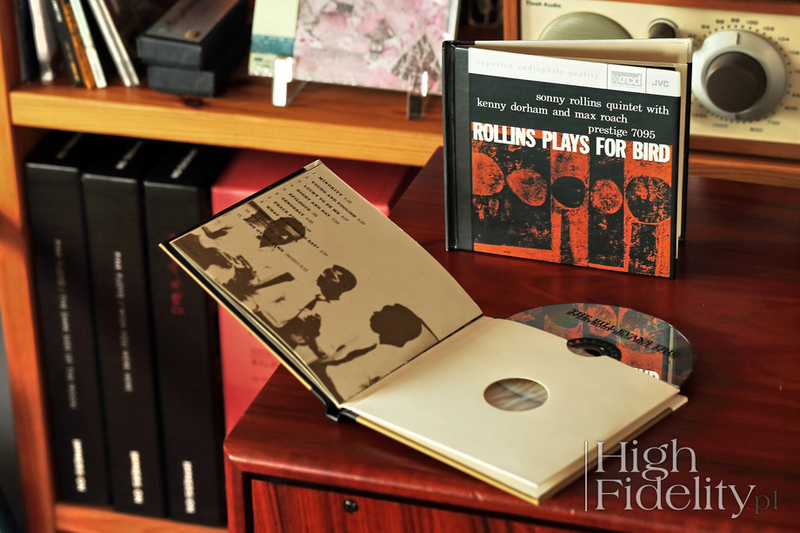 He convinced him that it was worth trying a different approach to pressing discs and together they prepared about twenty different discs with the same musical material, differing in the way of making them and the materials of the base layer of the disc. And let me remind you that until then only two types of material have been used: aluminum and gold. It was a dream come true - knowing that I could do it. We could change, for example, one cable by moving it somewhere else in a system, and they [pressing plant workers - ed.] documented it all like crazy people. We've tried all the combinations we've had in the digital domain in this way. It was amazing. They also tried then different material to cover the discs - aluminum and gold and even - absolutely exotic for this purpose - copper. In the consistent opinion of all involved parties, aluminum yielded the best results. That is why it is still the only material on which XRCD discs are pressed. The XRCDs of the American „branch” of the format. These are mini LP-like discs with cardboard covers and a booklet, but without a characteristic "tape" on the side, as in 78 rpm albums. They are larger than discs from Japanese "branches" and measure 144 x 134 mm. It is no coincidence that I hailed Mr. Yoshida and it was no coincidence that A & M Mastering Studios appeared here. The place of "birth" of the XRCD system is Japan and it "nursery" was Flair Studios Victor Company of Japan, Ltd. This system had its premiere in Japan, however, the limitations were quickly realized. And the basic assumption was that the source of the signal MUST be an analog master tape. 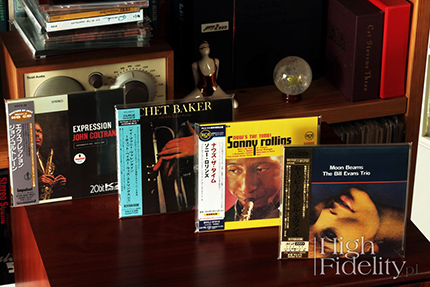 At that time, shipping them to Japan was very rare and expensive (insurance), thus the A/D conversion had to be carried out where the tape was stored - in the case of jazz music most often in the US, and when it came to classical music, in the United Kingdom or the United States. In USA, the A&M Mastering Studios was selected for this purpose. It was founded in the place of another legendary place, United Recording Studios, where they recorded Ella Fitzgerald, Count Basie and Joni Mitchell, that operated since April 1967 (more onamrecords.com, accessed: Apr. 20th 2018). The A&M Mastering Studios was closed in 1999, when its owner, PolyGram, merged with Universal Music Group. In its place in 2001, the Ocean Way was founded, where the titles from the XRCD series were still remastered. This is where the "master" tapes went - they were played on a special, modified tape transport, and then the signal was transferred to a MO disk. 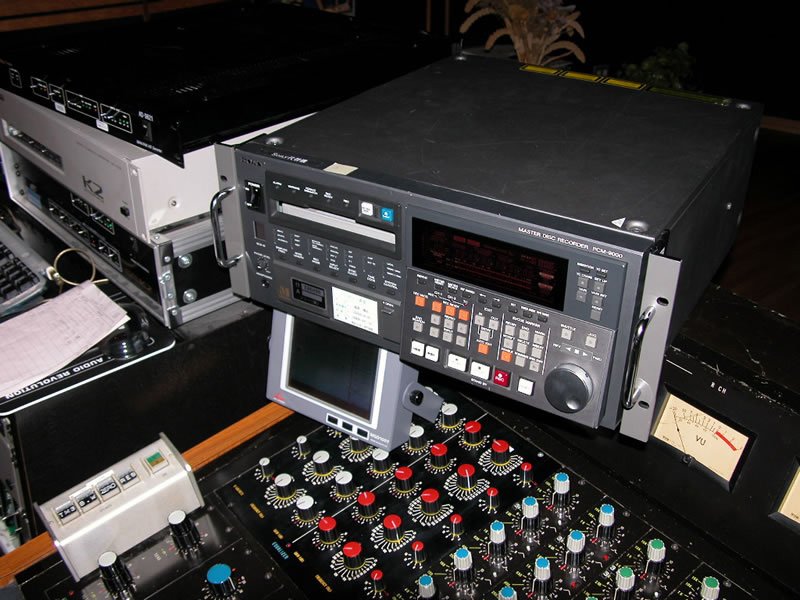 In both studios - Japanese and American - the Studer A-820 tape recorder was used, but with different electronics. Mr. Yoshida mentioned in interviews several times that in his studio only the mechanism remained from the original tape recorder, and the electronics were made by people from A&M Mastering Studios. Let us add that many titles, such as Three Blind Mice, Proprius and others, were mastered in Japan. In this way, two separate series of XRCD discs were created. The first one, Japanese, mainly used material mastered at A&M Mastering Studios, as well as tapes available in Japan. The chief sound engineer at A&M was Alan Yoshida, but the work was carried out under the supervision of Mr. Akira Taguchi, director of Flair Studios, who then dealt with digital signal processing (the K2 system and pressing) in Japan. 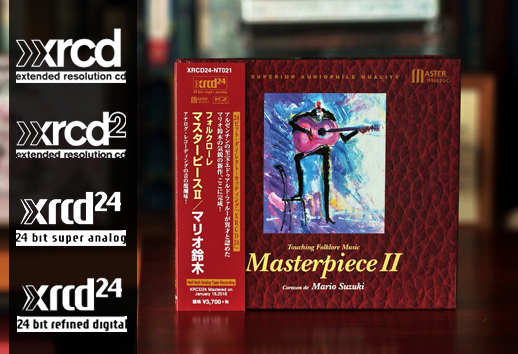 Perhaps this is why on XRCD discs from the Japanese “branch" we can find a large "Digital Mastering" inscription, absent from the American “branch”, even though mastering in both cases was done in analogue domain. The American “branch” was mastered by Mr. Yoshida himself, and his department was called JVC America Co. In both cases, the discs were pressed in Yokohama, and the covers were made - for each line, respectively - in Japan and the USA.